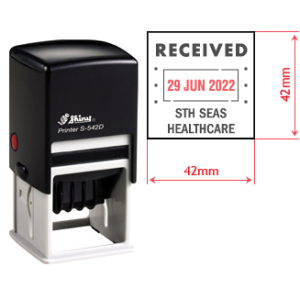 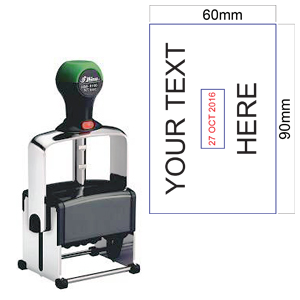 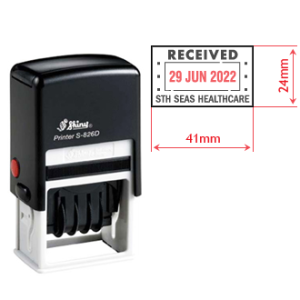 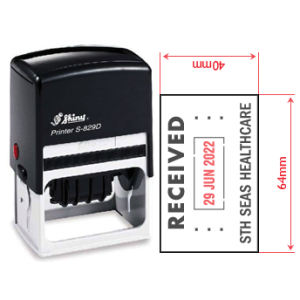 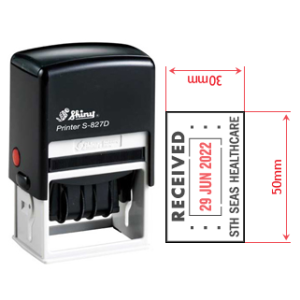 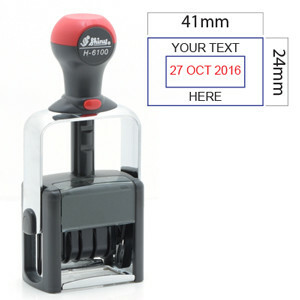 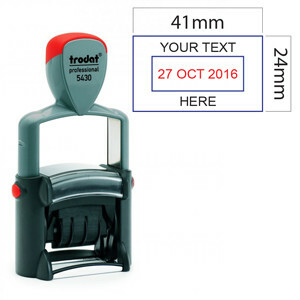 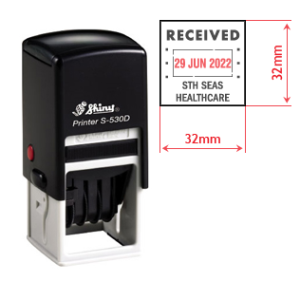 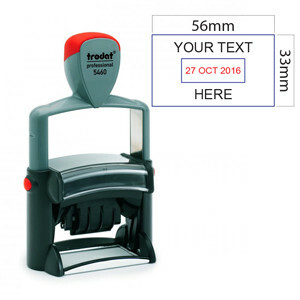 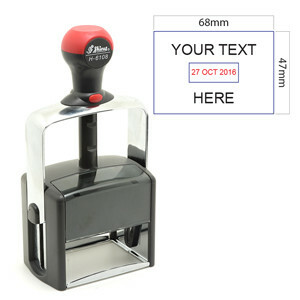 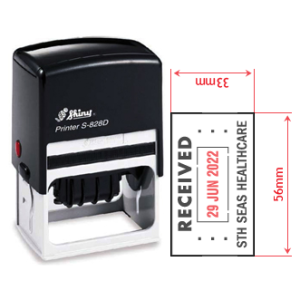 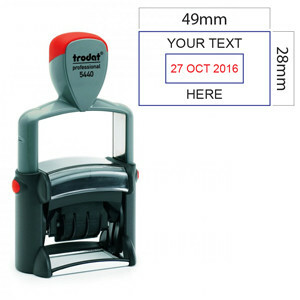 Self-Inking Rubber Stamps With Both A Date Component And Customised Text. 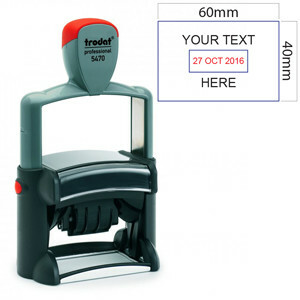 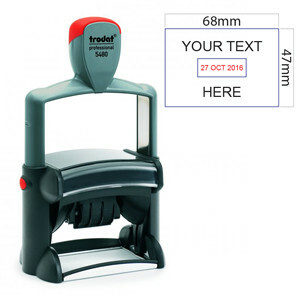 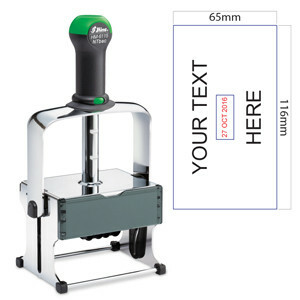 In this category, we supply a comprehensive range of ‘date with customised text’ rubber stamps catering for both office usage and industrial usage. 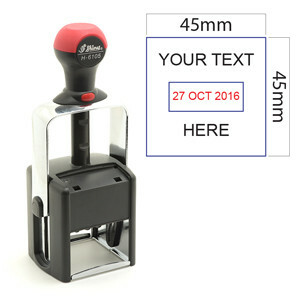 Follow the prompts when you have selected your stamp size to instruct us as to what text you would like in your stamp. 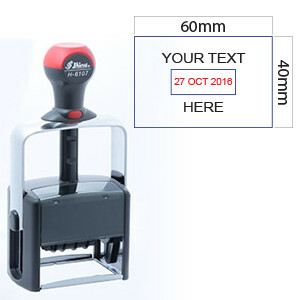 Email us for help if you prefer. 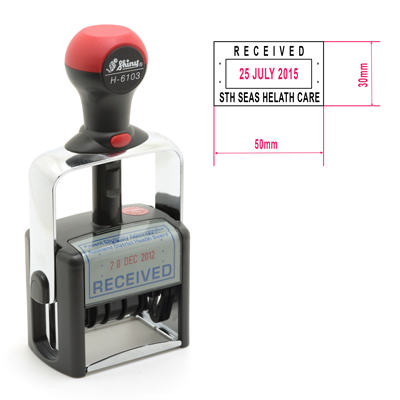 Click here to see all three categories of date/dater stamps.